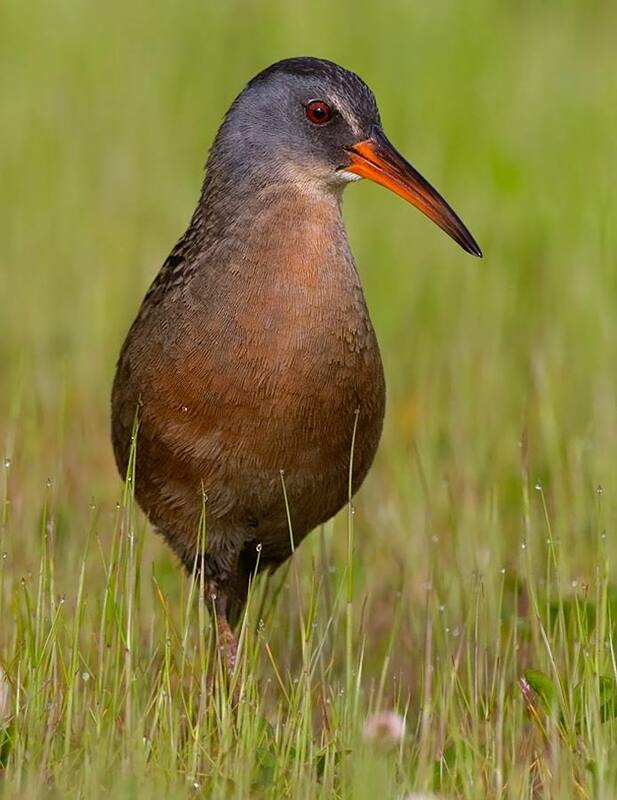 Normally secretive, this Virginia Rail came out in the open long enough to be photographed by Tom Sanders. Rails are denizens of marshland, where their slender profiles help them move through the dense vegetation. Modified tips on their forehead feathers also help prevent wear. Rails are designed for walking: leg muscles can account for a quarter of their total body weight. But they can also fly, swim, and even dive. Virginia Rails use their long, decurved bill to find a variety of food items, including small fish and insect larvae, even frogs and small snakes. They eat mostly small animals in summer but consume more marsh plants in fall and winter.